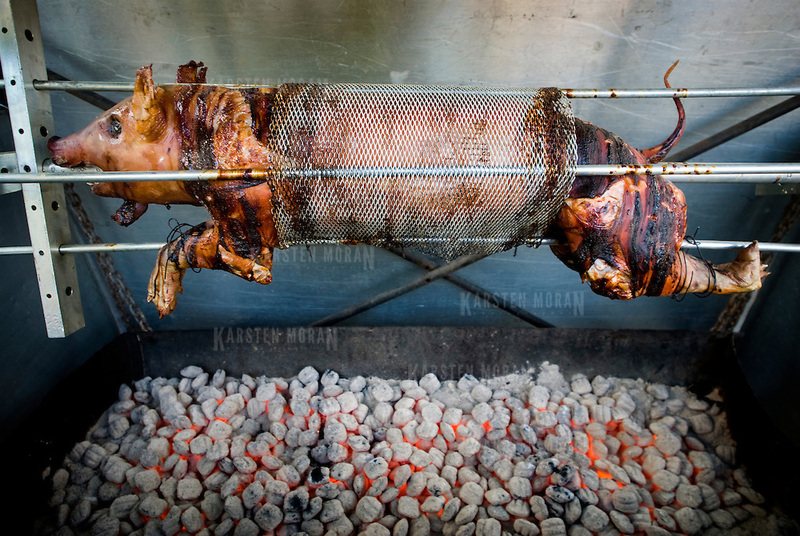 A pig, being roasted on a spit, at the 9th avenue New York City food festival. Copyright 2008 John Karsten Moran. All rights reserved.